Clambake XXXIV – Celebrating Science & Education! The Lloyd Center received a financial boost with a $20,000 grant from the Massachusetts Environmental Trust (the Trust). This funding will enable the Lloyd Center to expand and enhance their Climate Science Learning Project (CSLP), the Center’s interactive elementary school science teaching model. 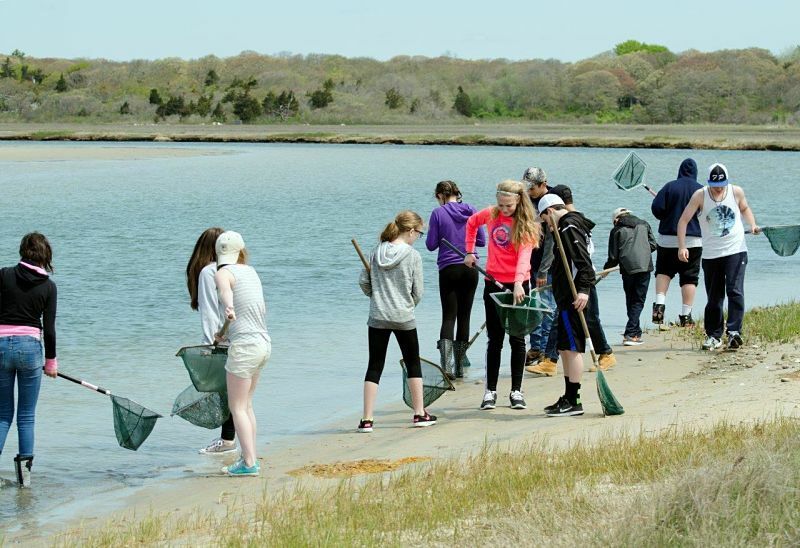 “We are thrilled to receive this grant from the Massachusetts Environmental Trust (MET). The funding we receive from MET will go a long way to educate students and community members alike,” commented Lloyd Center Executive Director, Rachel Stronach. Last year, the Lloyd Center for the Environment reached 81 classrooms serving low-income children and families in Fall River and New Bedford, schools whose students would not have been able to participate without external support; 57 fifth-grade classes and 24 third-grade classes benefitted last year. This number will increase in fiscal year 2017 particularly as the Lloyd Center expands in New Bedford to increase coverage. Year two of a two-year pilot program will introduce interactive, web-based learning tools that will provide access to information about the effects of climate change on biodiversity in all CSLP classrooms (currently over 100). A further goal of the Lloyd Center’s CLSP is to provide these tools to town planners, local residents, and teachers statewide and nationally, through professional development programs, media and targeted outreach. 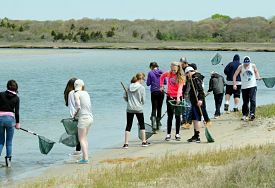 Supporting the environmental programs funded by the Trust in your community is easy: choose one of three environmental plates, the Right Whale & Roseate Terns, The Leaping Brook Trout, or the Blackstone Valley Mill when you purchase a new car or renew your registration with the Registry of Motor Vehicles. The standard registration fee for a Massachusetts plate is $60. The special plate fee is an additional $40 ($28 is tax-deductible; $12 is to manufacture the plate). The total first-time cost of a Specialty Plate is $100. There is a renewal fee of $100 every two years. Visit your local Registry of Motor Vehicles or order a plate online at www.massrmv.com or log onto www.mass.gov/eea/met where you can learn more about the Trust, the programs it supports, and the specialty license plate offerings. The trails are still available. Closed: 4th of July, Thanksgiving, the Friday after Thanksgiving, Christmas Eve, Christmas & New Year’s Days. We'll keep you updated with our monthly e-newsletter so you can stay aware of all that's happening at the Lloyd Center. Mark Your Calendars for Lloyd Center’s Clambake XXXIV! Lloyd Center Cuttyhunk Seal Cruises – An Adventure in Your Own Backyard! Become a Lloyd Center Member or Renew Your Membership! Thank You 2018 Annual Fund Supporters!